BUCKEYE® Nutrition is proud to announce its professional partnership with Lauren Kieffer Equestrian. Through this partnership, Lauren will work with BUCKEYE® Nutrition to promote best feeding practices in competition, at clinics, and over social media. "As a professional equestrian I have learned just how big of a role nutrition plays in my horses’ well-being and performance. BUCKEYE® Nutrition creates high quality solution-based horse feeds that I can trust and their passion for horses show in their products. I am thrilled to partner with such a wonderful company and know I will continue to see great results." Lauren was born and raised in a rural community of Southern Illinois called Mt. Carmel, where she competed in local hunter/jumper, 4-H and eventing her own horses, as well as horses in training throughout high school. In 2005, at the age of 18, Lauren’s talent, positive attitude and commitment to her sport earned her an opportunity to begin training and working for Olympians Karen and David O'Connor in Virginia and Florida. Throughout her time with the O’Connor Event Team Lauren has matured into a fantastic horseman, trainer and competitor. 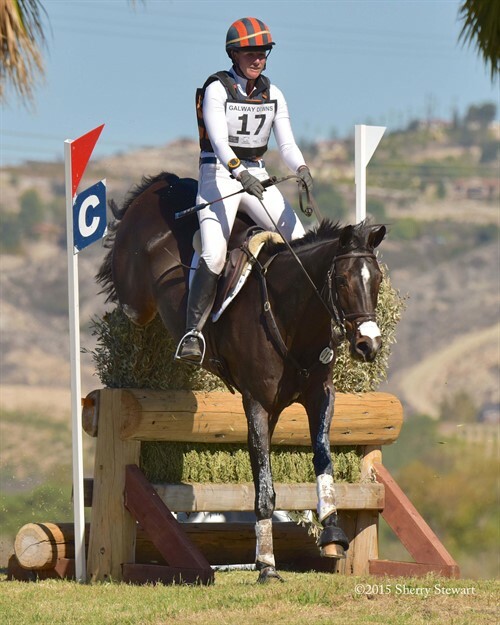 Her greatest accolades include competing as a member of the gold medal Pan American Games Team in 2015 with Meadowbrook’s Scarlett and winning the 2014 USEF National CCI 4* Championship with Veronica.